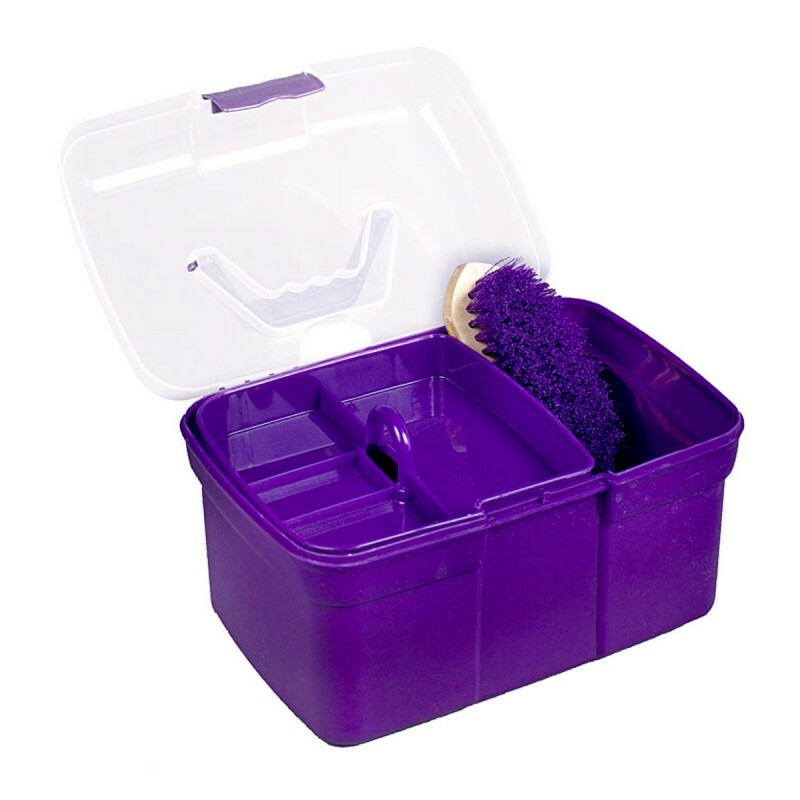 HORZE - Fashionably coloured grooming box ! RRP: 29,95 € tax incl. The very first grooming box : unforgettable ! 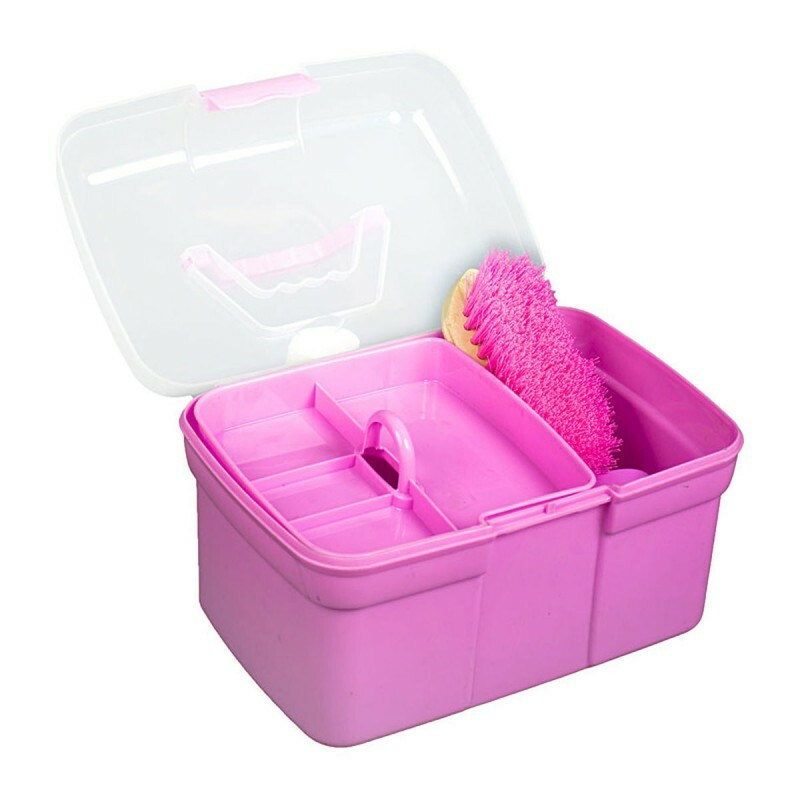 Includes : rubber curry comb, hoof pick, comb, wooden body brush, wooden dandy brush, oil brush with container and braiding bands.